I would like to inquire about your property Bayut - 974-Vl-S-0027. Please contact me at your earliest convenience. WOW DEAL - Limited Units are Remaining Only (HURRY UP and Grape This offer) . !! - Don't Miss This HOT AMAZING Opportunity. !! Most OF Villas are SOLD OUT. !! Luxury Villa With Stunning Beautiful GULF VIEW , Pay Only 100,000 with Easy 4 Years Payment Plan Can be Adjusted to Meet Your Budget . Luxurious Homes in AKOYA , in the International GOLF Community and Trump International Gulf Club !! Prestige Community and Stunning Design with Breathtaking Greener Areas , Landscape Areas in Outstanding Community with All Amenities , Facilities and Features For Your Happiness and Your Comfort . !!! AKNAN Villa features beautiful exterior design and aesthetics, whilst inside is tastefully designed with desirable, Wide Open spaces that are comfortable as much as they are Luxurious. Set within a prestigious community with Lush Gardens and Moorland. We strives to Provide Dream Homes And Unique Concepts To Our Customers From All Over the World. Commitment to service excellence, whether we are helping a young couple choose the perfect family home or advising investors on properties Offering The best Return of Investment (( ROI )) . !! 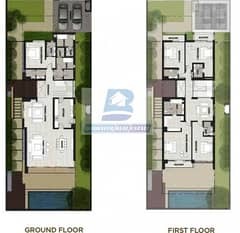 -Separate living/dining area and kitchen. -Access to the world-class amenities of AKOYA . Show Villa is Available for Viewing! 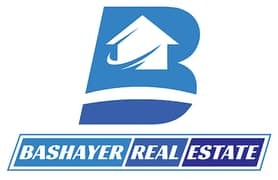 BASHAYER Real Estate Company professional management of premium residential projects, ready or budgeted properties. Whether you are a property owner, an investment or a tenant, your business is our priority. ! 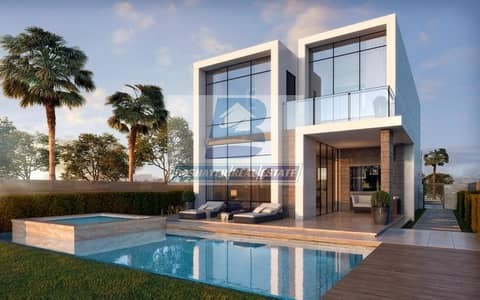 Our reputation in real estate market was first established in Dubai since 2014.